follow the secure link by clicking on the "GIVE" logo above. 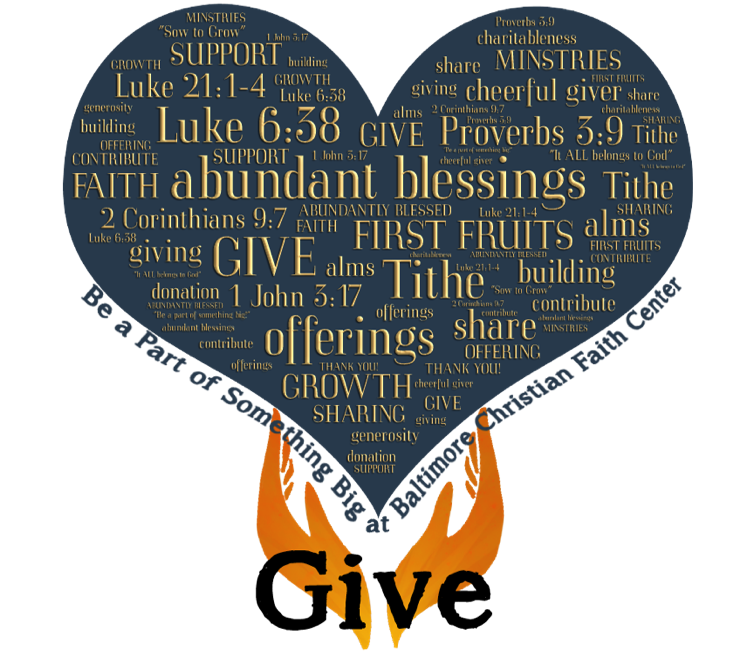 You may also download our Church App and do the same through the Giving tab. the next generation of Christian Leaders...our youth. honor the Lord with our wealth and with the firstfruits of all our produce (Proverbs 3:9). At Baltimore Christian Faith Center, we follow the Word wholeheartedly. The exciting news is we are growing! We are building new classrooms to teach the children and youth about Jesus! To accomplish this, we need your help!